The first European trophee will take place in Barcelos (North of Portugal) in the next days, 29 and 30 September 2018. The 38th edition of Continental Cup will be the second with the final four formula: last year in Viareggio won Oliveirense against Reus, both Euroleague’s finalist (2017). Four teams will fight saturday 29th september for conquering the final sunday 30th september at 17.00 h (local time): FC Barcelona (Spain), Euroleague 2018’s Champion, FC Porto (Portugal), finalist’s Euroleague 2018, CE Lleida Lista (Spain), CERS Cup 2018’s Winner and OC Barcelos (Portugal), Finalist’s CERS CUP 2018. The second edition of Final Four will take place in Pavilhao Municipal de Barcelos, called from their supporters “Catedral”, have a capacity of 2000 spectators, in one of the best rink for atmosphere and for passion of our sport. 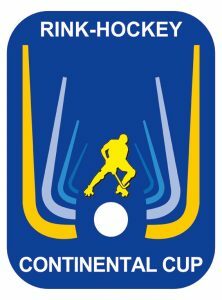 It will be a sensational show for Rink Hockey, also because all the 4 teams didn’t win the Continental Cup from many years and all the 4 teams can reach the final and try to win it. An example: Barcelona won the latest of their huge history, in 2015 against Sporting. 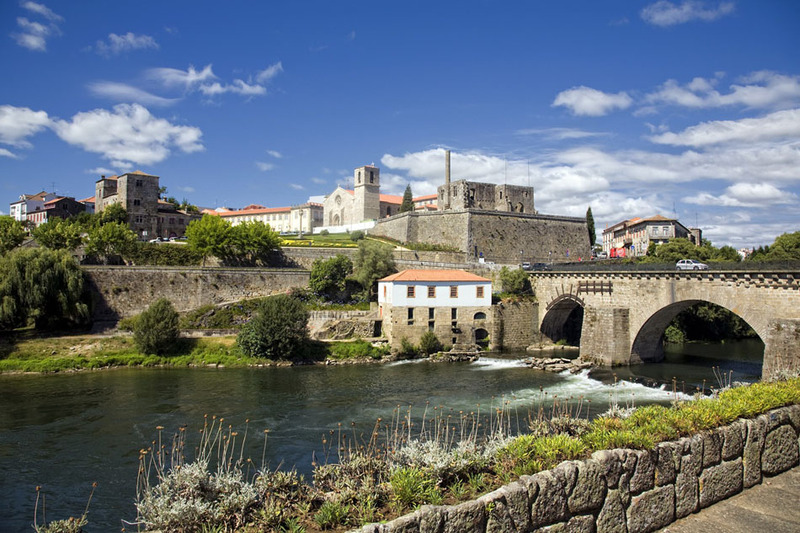 It is the second time that Barcelos will hold a final competition, the third in the history: the first in 1994-95 (against Tordera), second in 2015-2016 with formula final four. Oquei Clube de Barcelos (3 times winner CERS CUP, 1 Cup’s Cup) that has already won 1 Continental Cup (Called Supercup) in 1991-92, and finalist of 2018’s edition of CERS CUP, will play against Futbal Club Barcelona at 21.00 (local time, h 22.00 CET), 17 times winner of Continental Cup, 22 times winner Euroleague. In the first match, instead, Club Esportiu Lleida Llista, 2018 Winner CERS CUP in penalty shot in the final with Barcelos, will face the Futebol Club do Porto at 18.00 (local time, h 19.00 CET), 2 times winner Euroleague (85-86, 89-90), 1 time winner Continental Cup (1986-87 Super Cup). The two winners of the Semifinals, will play against in the final, scheduled at h 17.00 (local time, h 18.00 CET). 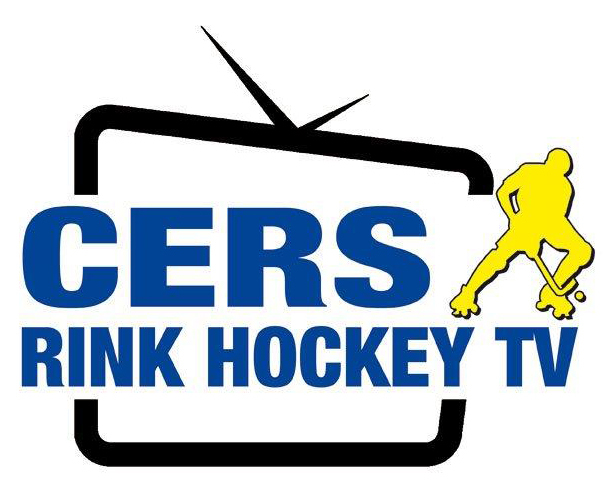 All the three matches will be broadcasted live our new WEBTV (www.cers-rinkhockey.tv). 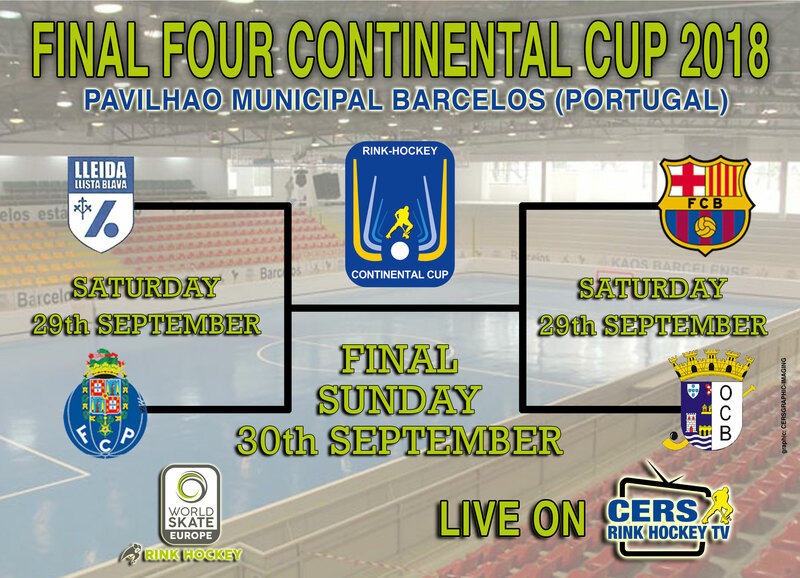 For live television broadcasting, Porto Canal will produce the Continental Cup Final Four. In Portugal the games will be broadcasted live from Porto Canal and in Spain Tv3 Catalunya (Esports3). Barcelona-Barcelos will be not covered in live television in Portugal. 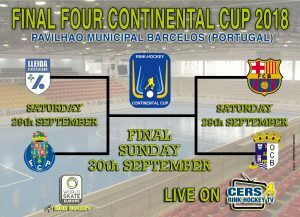 WSE-RH will follow entirely final four with a special coverage of press team in social network and in the section of Continental Cup www.wseurope-rinkhockey.org/continentalcup . As always there will be available the Official Live Scoring. 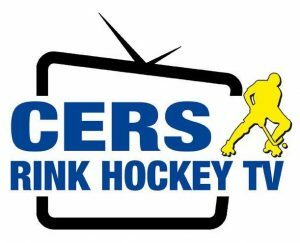 For Live Press Conference we will use our WebTV, where you will find also the On Demand section, of full matches and highlights in the special section for the Continental Cup.